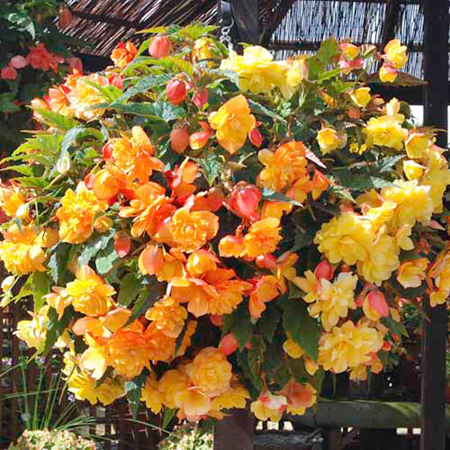 A magnificent and unusual begonia boasting eye-catching double flowers over 5cm (2") in diameter, combined with a fantastic aroma. Their compact habit makes them ideal for tubs and window boxes, as well as bedding in the garden, and they make great houseplants too. Height 25cm (10"). 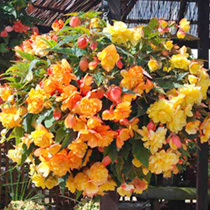 Yellow and apricot shades on one plant!